My lectures and talks focus on international arbitration and international procedural and contract law, just as my practice as an arbitrator and my publications. 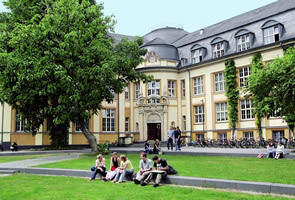 As an honorary professor of the Bucerius Law School, Hamburg, and director of its Center for International Dispute Resolution I regularly lecture in the Master of Law and Business Program on conflict of laws, international contract law and international dispute resolution. Moreover, I also teach international commercial arbitration in the Law School’s Exchange Program as well as in the Summer Program. Finally, I offer a course and a moot court on this topic for German students. Since its inception, I am closely connected to the Willem C. Vis Arbitration Moot, the biggest student competition on the CISG and international arbitration with now more than 300 participating universities, – firstly as a coach of the Cologne University team and as an arbitrator. Since 2012, I am one of its three directors and inter alia responsible for creating the case. In addition to these activities, I am lecturing in the Masters Program of Humboldt-University Berlin, am a Visiting Reader at the School of International Arbitration, Queen Mary College (University of London), and I regularly offer courses at other universities. I was a visiting fellow at the Center for Transnational Litigation and Commercial Law New York University (March 2012) at the Lauterpacht Centre at the University of Cambridge (2014/2015). My professional activity extends to acting as a lecturer and expert for state organizations (e.g. GIZ, IRZ, USAID) with regard to the international progressive development of law.